The Huh? : Deadpool Movie Finally Confirmed by 20th Century Fox!!! Deadpool Movie Finally Confirmed by 20th Century Fox!!! This is a confirmation notice! 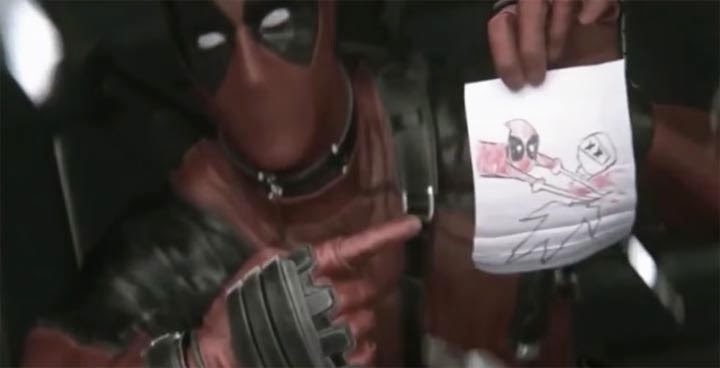 It has finally happened, according to The Hollywood Reporter and 20th Century Fox (via Twitter) that everyone's favorite crazy merc-with-a-mouth Deadpool is getting his own film as a spin-off from the X-men franchise. Ryan Reynolds is set to reprise his role as Wade Wilson (Deadpool) from the abominable 2009 film X-Men Origins: Wolverine. This is great news to see that his internet fandom has brought new life to this movie. Especially since the leaked test footage hit the web months ago looked like they had nailed the character without pulling any strings to make it less than R rated. Despite the footage being years old, Reynolds' interest hasn't waned- although deals have not been finalized- things are looking good. Deadpool is set to hit theaters on Feb. 12, 2016, and will be directed by Tim Miller.